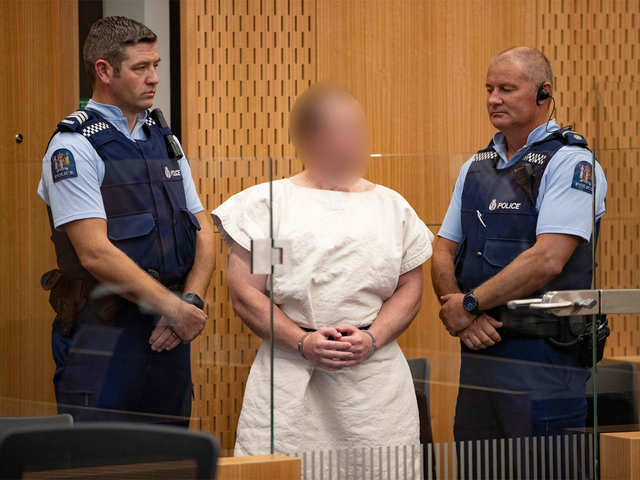 The Australian charged with murder in the mass shootings at two New Zealand mosques plans to represent himself and appears “rational”, his court- appointed lawyer told AFP Monday. Duty lawyer Richard Peters, who represented him during the preliminarycourt hearing, told AFP the 28-year-old “indicated he does not want a lawyer”. “The way he presented was rational and someone who was not suffering any mental disability. That’s how he appeared. He seemed to understand what wasgoing on,” Peters said.
" data-pwa-id="pwa-D54D124DC9FA0C97C1FE323EA634A7E0" data-pwa-rule-id="null" data-pwa-suggestions="They charged Brenton Tarrant~I charged Brenton Tarrant~It charged Brenton Tarrant~We charged Brenton Tarrant~Someone charged Brenton Tarrant~Something charged Brenton Tarrant">Brenton Tarrant was charged with one count of murder and appeared at Christchurch District Court on Saturday after the rampage during Friday prayers which left 50 people dead.